Dakine has decided to broaden its base from the accessories market, and is about to throw its gloves into the outerwear ring. The brand will be rolling out a full line at OR and SIA for the ’12/13 season. 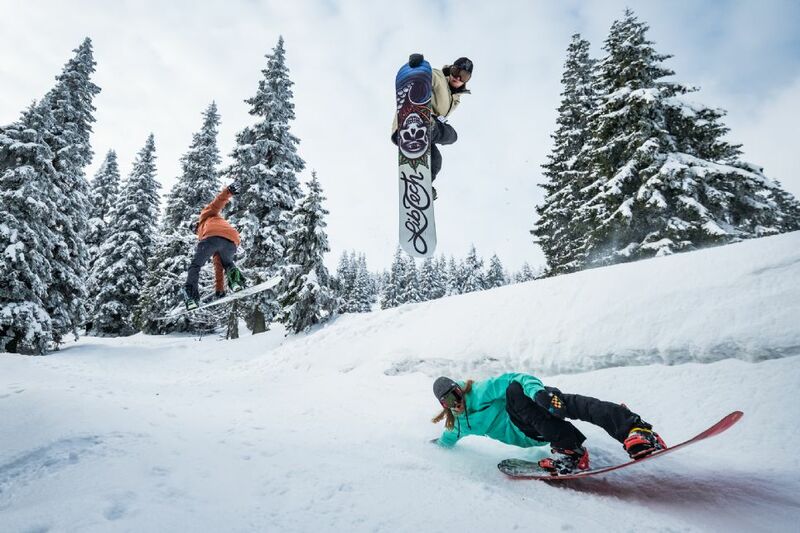 Long known for its technical designs, deep team, and quality product, the Billabong-backed brand decided to launch the new line based on retailer feedback and a perceived need for an outerwear brand that successfully bridges the ski/snowboard divide, marketing to both. We caught up with Creative Director Mike Madlener to get the scoop on the latest from the crew in Hood River, Oregon. Speer heading things on the team side will be long time Dakine rider, and former Billabong outerwear shred, Shayne Pospisil. When did you guys start thinking about making outerwear and why? I think the last couple of years is when it really started coming up as a viable growth initiative. Also, our European market had been asking for quite some time. Based on the success of our gloves and the other products we offer in that channel it seems to make sense. Our goal is to offer a complete Dakine snow program; socks, base layer, technical fleece, gloves, and now outerwear. These products really do complement our existing line of packs, bags, and accessories that we have been offering for years. What had you been hearing from retailers? The retailers and consumers connect with Dakine as an innovative, quality brand. The outerwear program is a natural extension of our current technical snow product offering. We have been partners with key snow retailers for decades and have had many discussions with them over the years on outerwear and how Dakine could fit in. Why did they think there was a hole in the market and what was it specifically? The market has been dominated by companies that were either ski or snowboard specific. We have always been fans of both sports and have been able to make great product for both. Having an outerwear brand that is legit in both sports and supports both sports with the right products, athletes, and marketing is a no brainer for our retailers. They can bring us in and have a broader appeal than with a one sport brand. Sum up your new line in two sentences. Great functional design, warm, dry, high end fabrics, good fit, quality construction, backed by solid, progressive athletes and marketing. Great value even at the high end because our products perform. Where did you get your inspiration for the pieces in the line? Dakine is a true mountain company, based in the Northwest for over twenty-five years. The goal for outerwear is designing a line that will perform in all conditions, from the tough conditions of Mt. Hood, our “backyard” proving grounds, as well as worldwide. We have always been a product based company with quality, function and design as the foundation of our products. This same inspiration applies to the outerwear program. We have the whole spectrum loaded into a complete easy to sell line. We have three-layer shells, down jackets, two-layer shells, fully insulated and light insulated pieces as well as fully taped and critically taped options. In Men’s we are bringing nine jackets and five pants. In Women’s we offer six jackets and three pants. We have made every piece fully featured so no matter what price point you buy into you will have everything you need to ride in comfort. Will it be a tiered line? What will the differences be both in features and price points? It is a focused line covering three levels of technical fabrics. While all fabrics are laminated, we offer a range of waterproofing, breathability, and features within each fabric group. Every garment is fully-featured so key functions are not compromised at lower price points. For this initial line we have not de-engineered anything. Who else besides Shayne is going to be on the team to start? Shayne Pospisil is heading up the snowboard team. We also just signed Justin Norman. In ski, Chris Benchetler will head up the team and we are stoked to sign Sam Cohen as well. We are building on that strong base in both snowboard and ski as we move forward. There have been a number of new companies in the outerwear game lately. Why do you think the time is ripe, other than the fact that sales figures have been strong for softgoods over the last couple years? There really is no right or wrong time to enter the market, there are always reasons on both sides of that idea. When you can design, build, and deliver quality product and back it up with team and branding, it’s time to enter the market. The Dakine brand has a strong connection and history with both our retailers and our customers. We are not a new company entering the market, we are just extending our brand appeal to a new category. Newsletter SignupSign-up NOW to get the most up to date industry news and information sent to your inbox daily. Subscribers also get access to exclusive content, brand give-aways, and special offers!